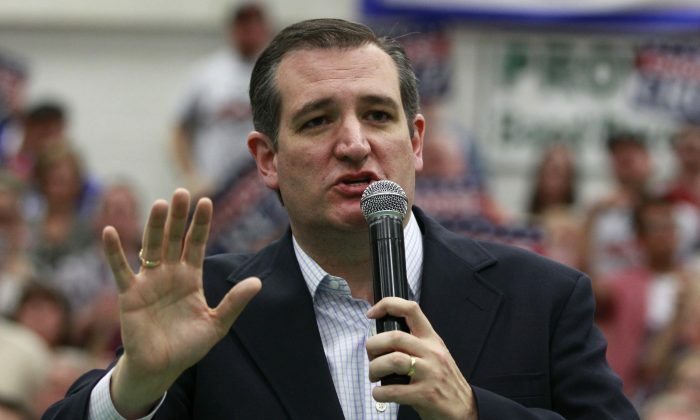 Does Ted Cruz Have a Chance at the Republican Nomination? Ted Cruz has been saying that he’s the only candidate who can challenge Donald Trump for the Republican nomination. However, his path to the nomination remains murky after Trump won four primaries on March 15 and Cruz won zero. 1. Can He Make the Required Delegate Count? Currently, Cruz has 424 pledged delegates, and needs 813 delegates to make the required 1,237 delegates to clinch the nomination. However, there are only 946 delegates up for grabs in the remaining states, which means he would have to win 86 percent of the remaining delegates to solidify the nomination before the convention. 2. Can He Catch Trump in Delegate Count? Again, technically yes, but it’s not going to be easy. Trump has 695 delegates, and Cruz has 424 delegates. Currently, he’s trailing Trump by 171. 3. What Does He Need to Do Going Forward? In order to make up the difference, Cruz would have to upset Trump in states with a lot of delegates like California, New York, and Pennsylvania. Unfortunately for Cruz, his largest support base is in Southern and “bread basket” states; He had big wins in Texas, Iowa, Kansas, and Idaho. With remaining delegates looking less certain, his main objective is to prevent Trump from getting 1,237 delegates, thereby getting a chance at winning in a contested convention. 4. Would Rubio’s Delegates Help Cruz? It varies from state to state, but at least some of Marco Rubio’s 169 pledged delegates could be advantageous to Cruz in the event of a contested convention. Some states, such as Tennessee are bound to their nominee for two rounds, while Iowa, Texas, Virginia, Montana, Nevada, Puerto Rico and Washington are bound to vote for their candidate regardless of the campaign status. After the required time that delegates remain “bound” to vote for the candidate chosen by the state, they become “unbound” or free agent delegates who can vote as they please. Those free agent delegates could help Cruz after the first couple rounds of voting, especially if Rubio endorses Cruz. Cruz’s selling point in the event of a contested convention might be that he’s a safer choice for the Republican nomination than Trump. He could argue for example that he’s won in more Republican voter blocs, and that his staunch conservative idealism appeals to delegates turned off by Trump’s populism. He’s also looking to pick up unbound delegates as the “Party’s Choice” with the support of influential establishment figures like Mitt Romney, Lindsey Graham, and others.